Invasion Mid Ulster II Tickets Now on Sale! For the second year running our unofficial fan event will be returning to The Burnavon Theatre in Cookstown, Co. Tyrone for this Award Winning Family day out. The show will include a line–up of fun interactive activities as well as our stunning interactive walk around exhibitions of life size Props & Sets! 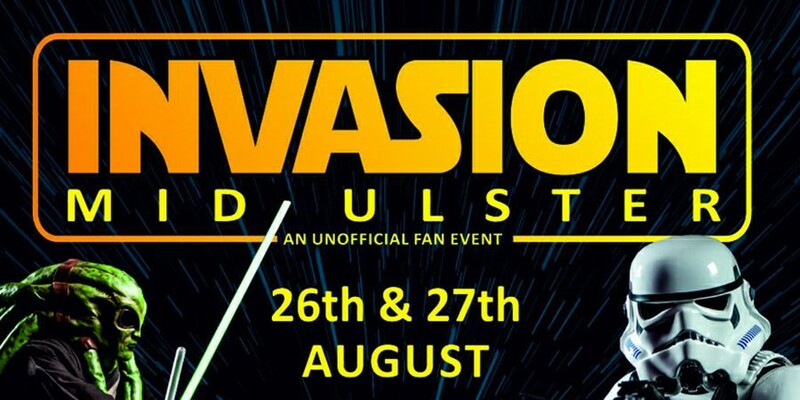 Visitors of all ages will be able to meet with over 30 costumed characters including Stormtroopers and Sandtroopers, Jedi Knights, Bounty Hunters, Clone Troopers, Sith Lords, Wookies and many, many more Star Wars favourites. Children will have the opportunity to experience Force Training with the Emerald Garrison’s Jedi instructors where they’ll have lots of fun learning the ways of the force and battle the dark forces. Launch tickets are now on sale for this truly amazing day out!